The Hydro Tek 20 foot High Reach Wash Pole offers additional control and rigidity not found with the standard telescopic or extendable wands. 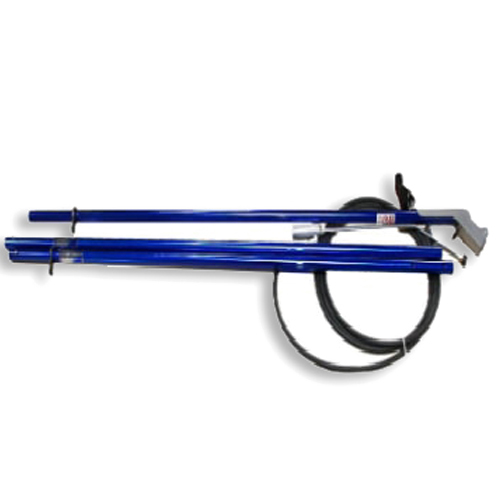 This High Reach Wash Pole uses your standard Hydro Tek (or ST1500) trigger gun so there is no need for you to have to shut down your pressure washer to switch to the High Reach Wash Pole. Simply insert your trigger gun in to the holder and connect the hose using the twist connect fitting and you are good to go. The Hydro Tek High Reach Wash Pole includes a comfort brace gun holder, full length jumper hose, three sections of pole (so you can easily adjust the height to match the needs of your job) and a shoulder strap. The high reach wash pole is rated to 4500 psi and 250 degrees F.
Why Use The Hydro Tek High Reach Wash Pole?